After many years enduring the long drab winters of the northeast, Florida’s cheerful vistas offer me a wealth of colorful, dramatic subjects for painting. Painting realistically and in detail is a challenge that gives me great joy and creative satisfaction. 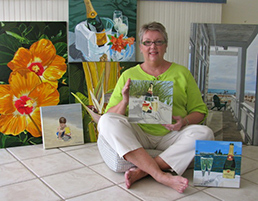 The objects, people and scenes I paint have captured my attention and brought me much happiness. It is my sincere hope that they do the same for all those who view them. Given positive encouragement from creative parents who once even let me draw on the living room walls, I was an eager student at all available art classes in school and college. After graduation, art took a back seat to career and family responsibilities, but creativity was part of all of my endeavors. After college, I graduated from New York School of Interior Design, worked as an interior designer and a window dresser in Greenwich, CT. And when babies kept me at home, I ran a small dessert catering business. With children in school all day, I took a job writing and doing some design layout for The Nutmegger Magazine. Magazine work evolved into my own desktop publishing business producing newsletters and marketing materials for businesses from Connecticut to Manhattan. All these businesses had the common thread of art, visual expression and a desire to try new artistic mediums. Moving to Florida in 2005 was an opportunity for me to refocus on fine art. My art has been shown in a variety of Florida Gulf Coast fine art galleries since 2007 and is now available through the Art Uptown Gallery on Main Street in Sarasota as well as directly through this website. 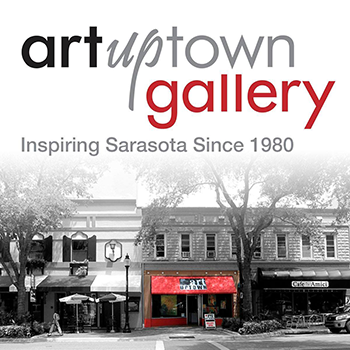 The Art Uptown Gallery, established in 1980 as an artists’ cooperative, offers the work of approximately 30 local fine artists across a breadth of artistic media. 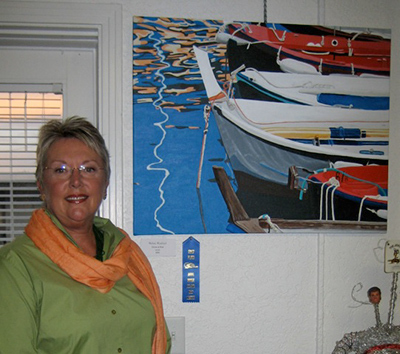 MARLANE WURZBACH has joined Art Uptown Gallery!